​Amazon Kindle Oasis: Premium But Is It Money Well Spent? Are you looking for a device that is separate from your smartphone that you can store and read your library of books on? Amazon has been around for a long time. 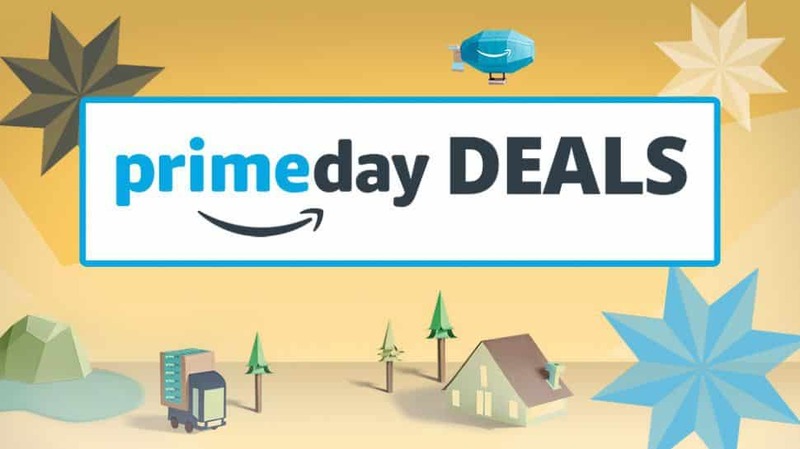 So it would stand to reason that if you are in the market for an e-reader, an Amazon Kindle is a great device to get if you are looking for something that's easy to use, connected to the largest bookstore online and supports audio books. The problem is that Amazon has multiple offerings that vary in price, and they all look very similar and accomplish the same basic function. So how do you know which one to choose? Well if you are the kind of person that likes the best of the best, look no further than the Amazon Kindle Oasis. The Kindle Oasis is a svelte e-reader. Made from premium glass and metal, up to 32gb of storage, cellular options, and support for audiobooks, the Kindle Oasis doesn't leave much out. Oh, and did we mention that it's waterproof? Yeah, this is the device that you want to get whether you're hiking, reading in the tub, at the pool or anywhere really, as long as you are willing to pay the price for such luxury. So what else does the Oasis have to offer? Well, let's go over the breakdown. There's a lot to look forward to with the Kindle Oasis. From waterproofing to Audible, this device packs almost every feature that you could possibly want, in an almost impossibly tiny frame. The Kindle Oasis uses glass for its display and it's flush with the bezels. This makes holding and using the Oasis a joy. There are no shadows from the raised bezels that you see on devices like the Paperwhite. You won't be getting dirt in the corners of this device, again because there are no raised bezels. Be careful with the screen however because it's glass, and that means that it's easy to break. Unlike the Paperwhite, the Kindle or even the Kobo e-readers, the glass screen on the Oasis has no protection built in. The display size is asymmetrical meaning that it's off to the side a little bit to give you something to hold on to. The screen is 7" as well which gives you some more reading room and feels a little more comfortable than the standard 6" screen that you see on pretty much every other e-reader. The display is also 300ppi which means that, aside from being glass, it's pretty much the standard, yet great quality screen that you see in almost every other Kindle device. Bookerly is Amazon's premium font that it showcases on all of its e-readers and the Oasis is no exception. Amazon has worked hard to make a font that appeals to everyone and gives you the most comfortable reading experience possible. Bookerly looks as sharp as ever on the 7" display of the Kindle Oasis. It's dark, sharp and easy to read, which is about as much as I can ask from an e-reader. Bookerly happens to be one of my favorite fonts to read on but truth be told it will really come down to personal preference. If you are coming from a Kobo device like the Aura H2O or the Clara HD, which both support almost a dozen customizable fonts, keep in mind that there isn't much else going on here. Make sure that this is the font that you want before choosing a kindle. The storage on the Oasis ranges from the already generous 8GB to the possibly overkill 32GB of storage. considering that 8GB is already thousands of books, 32GB is like libraries of books. The exception to this is if you are heavy into audiobooks. Since audiobooks are sound files, they take up a lot more space and suddenly every GB counts. If this is you, the 32GB is a must as you'll want all the storage you can get to avoid constantly downloading and deleting books. Regardless of whether or not you plan to get the 32GB or just opt for the 8GB, it's nice to see that Amazon thought of both types of consumers when making the Oasis. Prepare to pay an additional $30 from the already hefty $250 if you plan on going 32GB. I'm a big advocate of auto brightness settings. I know a lot of people prefer to just turn the brightness all the way up or adjust it manually but leaving it on auto will be good for your battery and your eyes. The screen will brighten automatically in the sun or brightly lit rooms and then dim when you are in darker areas. This leaves you free to focus on the book that you are reading instead of going back and forth with your brightness settings. The design of the Oasis is premium. You can tell right away when you pick it up that it's built well. With a sturdy metal frame and a glass front, this is like the Ferrari of e-readers. This extends all the way into the way that the device is built as well. You can pretty much tell the Kindle Oasis out of any other e-reader because of its ergonomic design. Nearly all of the parts are housed on the side of the device, creating a sort of handle, while the screen extends out from there. The device is a pleasure to hold because of this and the physical page turn buttons mean that you can easily read one-handed. Of course, the screen is also sensitive to touch, so if you'd like to use two hands you are free to do so. Audible has been out for some time now and it's possibly one of my favorite features of the Kindle. It's available on the Kindle and the Kindle Oasis, but for some reason, not the Paperwhite, which seems like an odd choice but thankfully if the Oasis is the device that you purchase, you won't have to worry about Amazon's strange decisions. All you need to do to use Audible is to simply load up an audiobook and connect a Bluetooth audio device like a pair of headphones or a Bluetooth speaker. Then it's just you and your book. The nice thing about this is that you don't need to waste your smartphone battery and can instead move that responsibility to a dedicated device. Of course with any Kindle device comes the Amazon Kindle bookstore. Amazon started as an online bookstore so it makes sense that it would go on to become the most robust ebook store to date. With more titles than you can count, they have nearly every book imaginable across nearly all genres. Companies like Kobo offer ebook stores as well but while still large, you don't get nearly as much. It should be noted, however, that with Kobo you also get OverDrive, which allows you to download library books, as well as the ability to load ebooks in 14 different file formats. WhisperSync is a feature that syncs your place across all of your devices so that you could be reading on your Oasis, and pick up on any other device, exactly where you left off. This eliminates the guesswork and makes moving across devices a mindless task. For those willing to pay the price of a decent smartphone, the Oasis also comes in a cellular model. This is a unique feature that you don't really see anywhere else and it's something that, if you have it, really grows on you. Cellular allows you to utilize whisperSync without access to WiFi, as well as grants access to the Kindle store. So you could be out on a road trip and still buy a book from the car, or pick up on your phone if someone wants to read a different book along the way. The Kindle Oasis is probably going to be something that you will want to take into the bathtub for a relaxing soak while you read, or even the poolside or the ocean. That's why the Oasis is IPX8 waterproof. IPX8 means that you can fully submerge it in up to 2 meters of fresh water for 60 minutes. You shouldn't submerge it in salt water but if it get's a splash, simply rinse it off and dry it thoroughly as soon as you can to prevent damage. Immersion reading is a feature in the Kindle app that allows you to both read and listen to a book at the same time. It's a really handy feature and although not everyone would use it on their Kindle, it's not great that Amazon left it out of such an expensive device. The only reason that I can see why Amazon would have purposely left it out is that e-readers don't really need powerful specs to accomplish what they were designed for, meaning that heavy tasks like this might be too much for the Oasis or any other e-reader for that matter. This is something that bothers me greatly. I have a difficult time understand why e-readers have had a difficult time making the jump to the USB Type C port which is the standard on almost all mobile devices from laptops to tablets to smartphones. Even the Nintendo Switch uses Type C.
Since many people complain that the Oasis has poor battery life, it would be redeeming if you were able to just charge it with the one charger that you use for everything else, but instead, you have to bring along an entirely separate charger, likely for just that one device. The Oasis is Amazon's most expensive e-reader. at $250 for the base model, it's already more expensive than say, the Kobo Aura H2O, which is also waterproof, and only costs $180. Granted it's not quite as well built but it pretty much does all of the same things. With 32GB and cellular and advertisement free, it can be as expensive as $350, which seems like a really steep price to pay for a device that serves, at max, two purposes. So you spend ~$250 on your new Kindle Oasis. It arrives at your door and you open it up, only to find that it comes with ads. To add insult to injury, you can have them removed for an additional fee of $20. This seems like Amazon is trying to nickel and dime you here. I get that if you are buying the very inexpensive Kindle that maybe ads make sense, but you shouldn't be getting ads or be required to pay extra when you just spend ~$250 on an e-reader. This is a small gripe because the Oasis already has a great bookstore, but you cannot deny that the ability to load your own books is appealing and it's something that we love about the Kobo line of e-readers. If you've invested in e-books from anywhere but Kindle, you might want to seek out an alternative like the Aura H2O because you won't be able to use those here. While the unique design of the Oasis might be a pro to many, it is a con to some. It's shaped weird and out of the ordinary, so make sure that you know what you are getting into before making this purchase. You might love it, I do, but check it out for yourself since it's not what you'd expect from an e-reader. Since the Oasis has Audible and is pretty expensive, it would make sense that it would come with a headphone jack. This is not the case. Unlike the lack of immersion reading, I don't understand this design decision. Many people are still using wired headphones and speakers so to have a headphone jack would be convenient, yet it's missing here. There is no denying that the Oasis is a premium device. 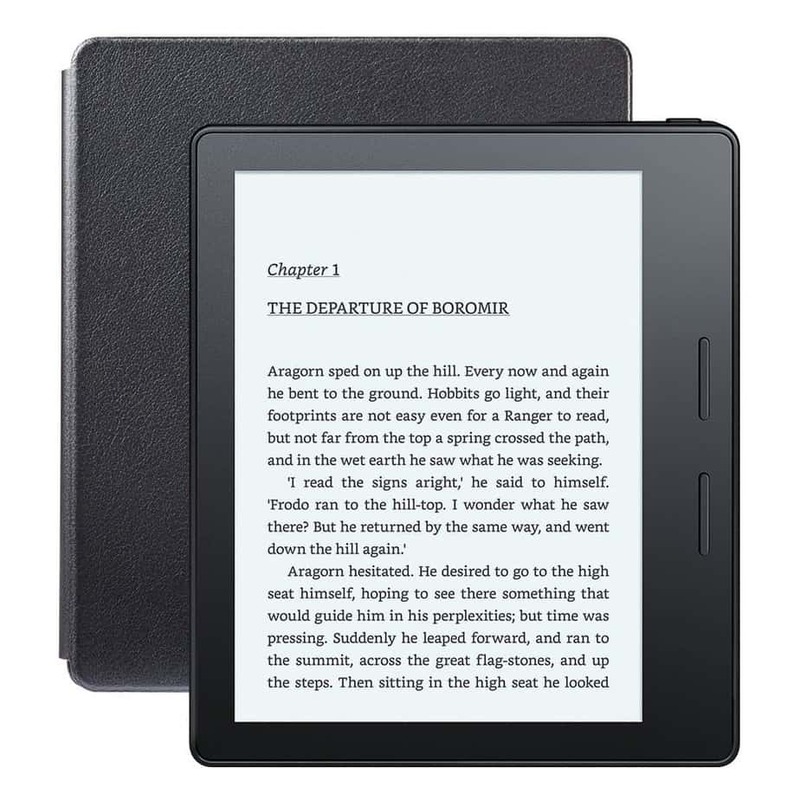 It ticks all of the boxes that you'd generally need in an e-reader and is thoughtfully designed. Unfortunately, there are a few devices such as the Aura H2O from Kobo, that accomplish almost all of the same tasks without the price tag. 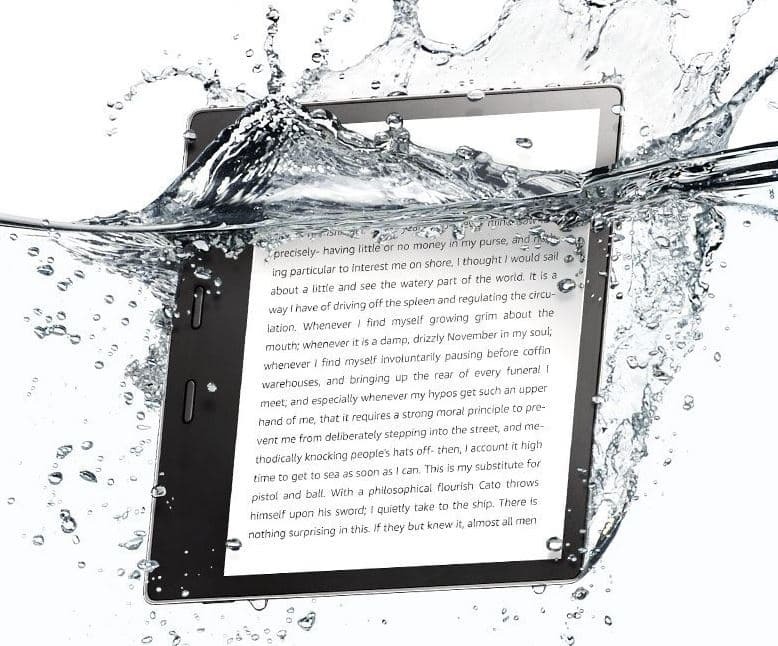 Unless you absolutely have to have the best of the best or are tied down to the Kindle store and still want a waterproof device, I recommend checking out some other options instead. As always let us know what you think in the comments. Do you have a Kindle Oasis? If so how do you like it?